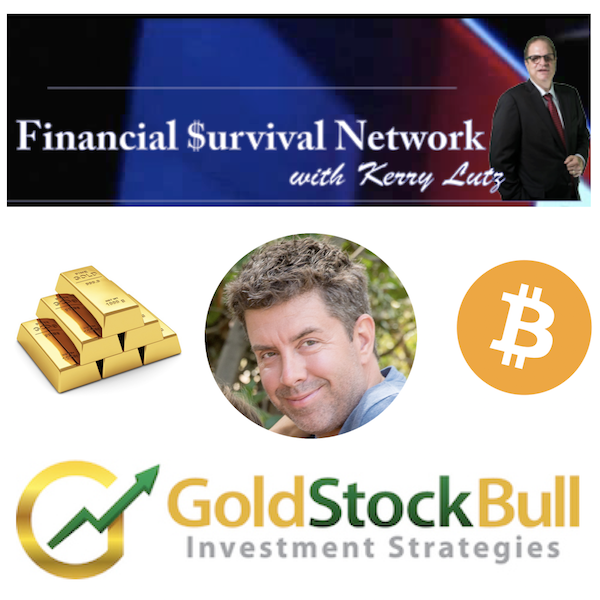 The following is a radio interview with Jason Hamlin joining Kerry Lutz of the Financial Survival Network. They discuss the investment potential of bitcoin and cryptocurrencies, precious metals and cannabis stocks. Jason believes that precious metals and cryptocurrencies are complementary assets that work well together in any investment portfolio. Jason first started to cover Bitcoin for subscribers around $100 and added it to the GSB model portfolio under $1,000. It recently surpassed $10,000! Bitcoin just passed $10,000 – Are you worired it has risen too fast? How do you think governments will react to cryptocurrencies? Will governments around the world get together and ban bitcoin? Will the government buy up all of the bitcoin in existence to stop it? When will the gold market get moving and it be time to get back into mining stocks? Cannabis stock values could really take off as legalization efforts continue. Are they still a good investment? Are we going to have a pure competitive market for cannabis in the United States? What things do you look at when analyzing cannabis stocks? How do you analyze cryptocurrencies? How important is it to have a winning management team? Jason Hamlin has 10 cryptocurrencies in the GSB model portfolio and a developed an ICO tracker to review and assign ratings to upcoming initial coin offerings. He’s well versed in blockchain tech, current news, the various contentious forks, etc. His latest articles: Why I am not Buying into the Bitcoin Cash Hype and Why Litecoin is Massively Undervalued vs Bitcoin. Beyond the incredible investment returns, Jason also believes in the moral case for investing in cryptocurrencies and published an article about it here. If you would like to receive our top cryptocurrency, mining stock and cannabis stock picks, click here to get started for just $99!